January brings two things: New Year’s resolutions… and football parties. My last post addressed the resolutions. Now that we’re halfway through January and ready to throw resolutions out the window, let’s move on to the more fun one: football parties! Preheat the oven to 350 degrees. Coat a 9×13 inch baking dish with cooking spray. Unroll one package of crescent rolls and work the dough to cover the bottom of the baking dish, pressing seams together. 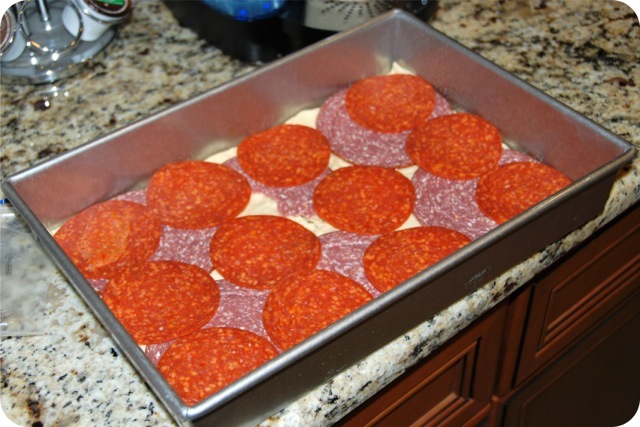 Layer the meats and cheeses over dough, alternating between meat and cheese. 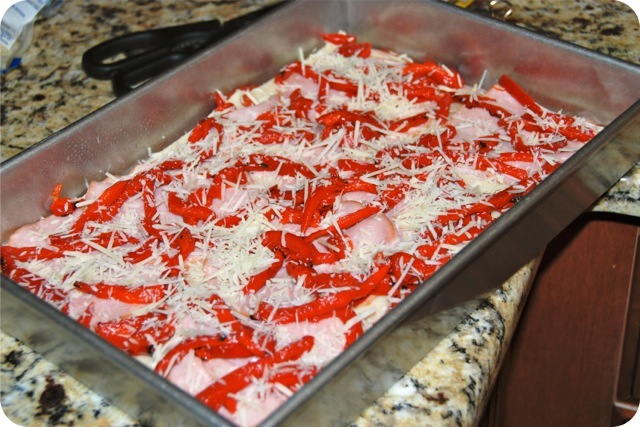 Scatter the sliced roasted red peppers over the top. Sprinkle half the Parmesan over the peppers. In a bowl, beat the eggs lightly with black pepper, to taste. Pour 3/4 of this mixture over the peppers. Unroll the second package of crescent rolls and work to make a single dough sheet, pressing seams together. Lay it over the peppers. 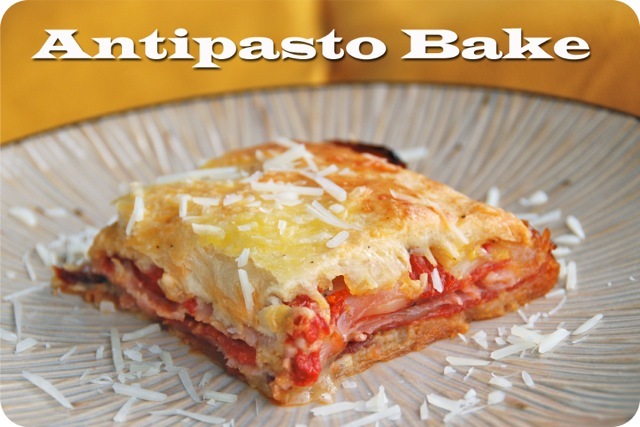 Brush the dough with the remaining egg mixture, and sprinkle with remaining Parmesan. Cover the pan with aluminum foil and bake for 25 minutes. Remove the foil and bake another 10 to 20 minutes or until the dough is golden brown. This bake was a HUGE hit! Everyone loved it– even the Colts fans. The original recipe had it cut into small squares as an appetizer, but we opted for larger portions as more of a main dish. 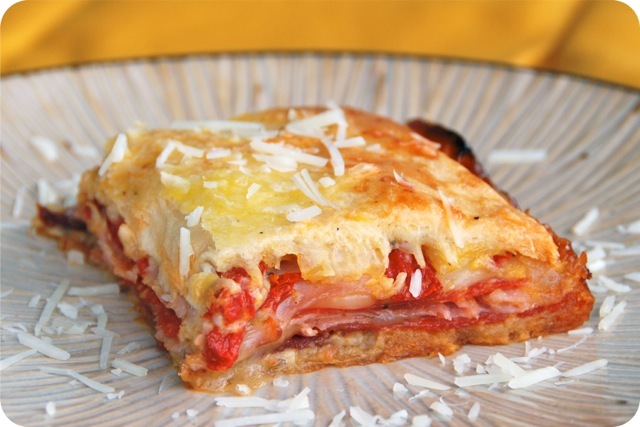 This is sort of a lazy-man’s calzone, but just as yummy!